I need to give a shout-out to the superb wines of late from Morgan Winery. 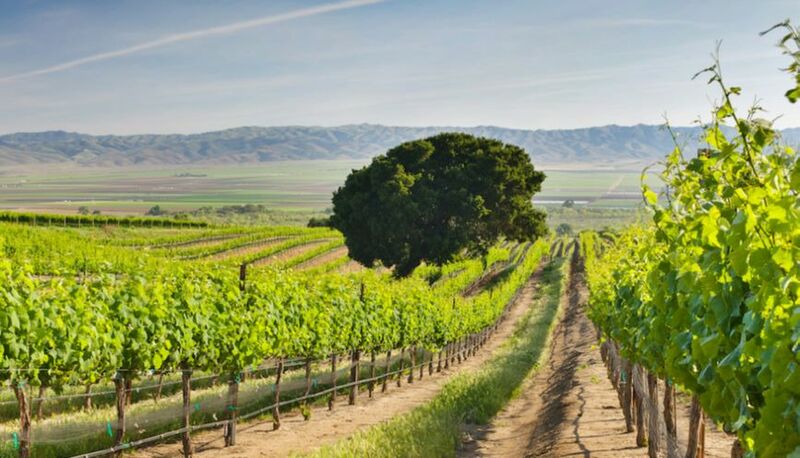 That is not to say that the wines have not always been of high quality, but the last few vintages have vaulted this winery into the upper echelon of California producers of Pinot Noir and Chardonnay. Daniel Morgan Lee attended UC Davis, intent on pursuing a career path in human or veterinary medicine, but after trips to Northern California wine country and enrollment in a wine course, he developed an enthusiasm for enology and viticulture. In my many years of writing about winemakers, I have found that an inordinate number of pre-med majors switch along the way. Both winemaking and medicine combine science with a craft and so are very compatible. Daniel pursued a master’s degree and worked harvests at Cuvaison Winery in Napa Carneros. Upon graduation, a fortuitous job opening at Jekel Vineyards led him to Monterey County. 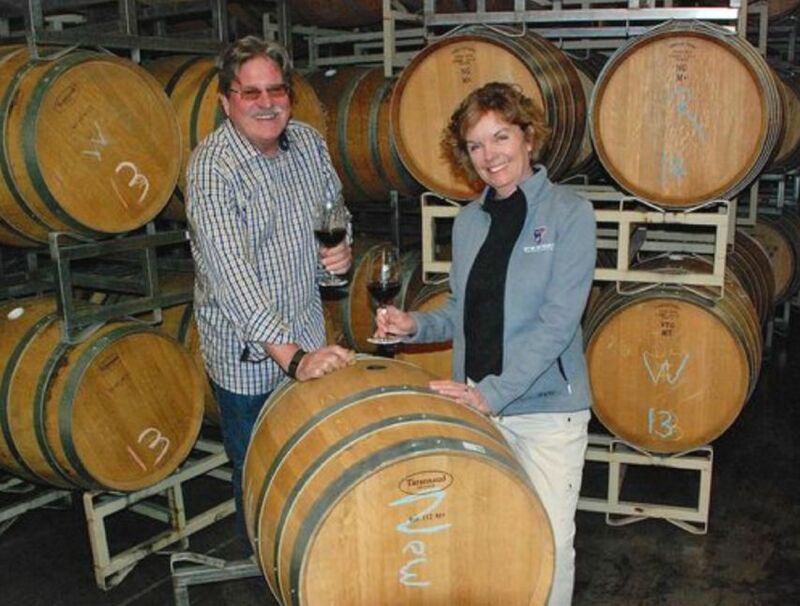 In 1982, while working as the winemaker at Durney Vineyard, he launched Morgan Winery with encouragement from his spouse, Donna. In 1984, the couple moved into their own winery in Salinas and released their first Chardonnay from the 1982 vintage and first Pinot Noir in 1988. The photo below: Tom Leyde/For The Californian. 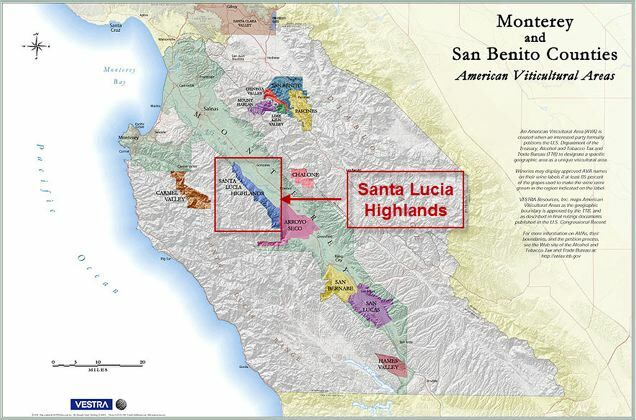 For the first fifteen years, Morgan sourced grapes from other vineyards in Monterey County and elsewhere but today the winery concentrates solely on the Santa Lucia Highlands. The core of the wine program now is the estate Double L Vineyard, a 48.5-acre mix of different clonal selections of Pinot Noir, Chardonnay, Syrah and Riesling. The property was acquired in 1996 and planted to wine grapes the following year. The property had been used for row crops and was no longer alive. Daniel built up the soil organically and the vineyard is now a centerpiece of the winery’s production. The vineyard’s name is derived from “Double Luck,” after Daniel’s two twin daughters. Neighbors include Sleepy Hollow, Rosella’s and Garys’ vineyards. A variety of Santa Lucia Highlands Pinot Noir wines are offered beginning with the entry-level Twelve Clones Santa Lucia Highlands appellation blend, along with multiple single vineyard wines from Double L Vineyard and several top quality Santa Lucia Highlands vineyards such as Rosella’s, Garys’, Tondre Grapefield and Boekenoogen. Daniel has played a major role in Santa Lucia Highlands’ modern wine history. He brought notoriety to the Santa Lucia Highlands when he was named “Winemaker of the Year” by wine writer Dan Berger in 2001, and Morgan “Winery of the Year” by both Wine & Spirits magazine and the San Francisco Chronicle. He was the first Board President of the newly formed Wine Artisans of Santa Lucia Highlands organization in 2005. Dan has trained a number of successful winemakers including Joe Davis of Arcadian Winery. Sam Smith was added to head the winemaking team in 2016. He has worked harvests in Santa Barbara, Australia, the Willamette Valley and the Northern Rhône. He was the assistant winemaker at Margerum Wine Company bookended by experiences with Pinot Noir in Oregon and cool-climate Syrah at Domaine Francois Villard. Daniel thinks the world of him and the 2017 vintage wines show his skill. Patrick Jackson, as the assistant winemaker, and Daniel’s daughter, Jackie, fill out the solid winemaking team. The winery’s tasting room is located in the Crossroads Shopping Center off Highway 1 and Rio Road in Carmel. Visit the winery’s website at www.morganwinery.com. The 2017 vintage in the Santa Lucia Highlands commenced with a wet winter with rainfall totals 40% above average. This allowed flushed soils to build up salts and promote healthy root and cover crop growth in the early season. Temperatures were average through August, through September saw three heat waves. The resulting wines have a rich fruit core paired with an elegance from the early and mid-season cool temperatures. Recently reviewed 2017 wines: 2017 Morgan Double L Chardonnay Clone 15 (92), 2017 Morgan Tondré Grapefield Chardonnay (93), and 2017 Double L Vineyard clone RC Pinot Noir (94). Owners Tondre and son Joe Alarid have nearly a century of farming in the Salinas Valley of Monterey County between them. Joe and family live on the ranch where they nurture their vineyard. This vineyard, one of more than 50 vineyard properties in the Santa Lucia Highlands AVA, was first planted in 1997 on 6.5 acres. Today, there are a total of 104 acres, with 18 acres of Chardonnay, 81 acres of Pinot Noir, 3 acres of Riesling and 2 acres of Syrah. Pinot Noir clones include Pommard and Dijon including 943. The vineyard is SIP Certified. 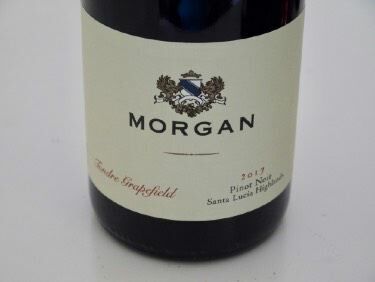 Besides having the best name for a vineyard, Tondre Grapefield has given me many extraordinary drinking experiences from producers like Morgan, Sonnet, Sarah’s Vineyard, Coterie Cellars, Bernardus, Cima Collina and the grower’s own label, Tondre Wines.